Oxalates in Baby Foods – Are Oxalates Dangerous for Your Baby? Oxalates and Baby Food – Will Baby Food from Spinach, Rhubarb and Strawberries that contain Oxalates harm my baby? In our April 2008 newsletter, we included a recipe for very peary berry rhubarb. One visitor emailed to ask us why we would include rhubarb in our recipe; she thought that rhubarb is an oxalate containing food and can be harmful to infant. She also mentioned that rhubarb is sour and wondered that it might need to be cooked with sugar. While oxalates do occur in rhubarb, rhubarb is not the sole carrier of oxalates. 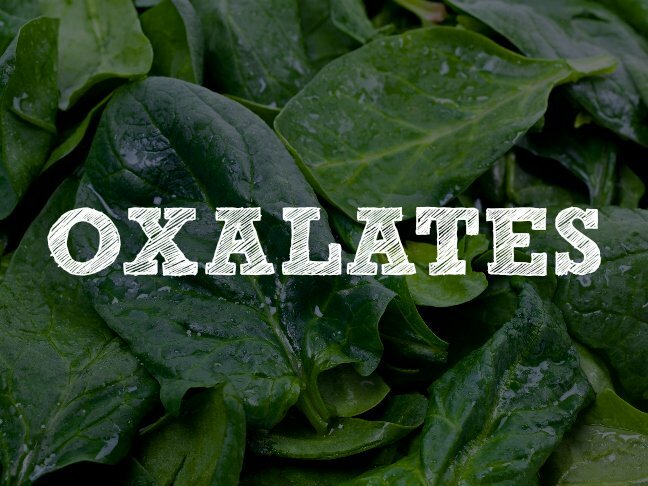 Oxalates also occur in spinach, leeks, strawberries and many more fruits and veggies. See our list below for more information. As for cooking rhubarb with sugar, when rhubarb is mixed with a fruit or a combination of fruits, the sour taste is masked. Believe it or not, many babies love sour foods. Your baby may be one of them. Using sugar in baby food is not a good option and you should avoid it when preparing baby food/meals and consider one of these sugar substitutes instead. Let’s hear the facts on rhubarb and oxalates. Oxalates are naturally occuring in our bodies and we also ingest oxalates from several foods that we consume. Rhubarb in particular contains oxalic acid however the highest amount of oxalate in rhubarb occurs in the leaves. There are very low instances of oxalates in the stalk of the rhubarb; the stalk is the part that is eaten. Many scientists actually believe that the stalk contains zero levels of oxalic acids and if there are crystals to be found, they are the result of plant metabolism. Health Canada notes that “Rhubarb (Rheum rhaponticum) is a perennial cultivated plant that persists around old farm sites. The plant contains oxalate crystals, which have been reported to cause poisoning when large quantities of raw or cooked leaves are ingested. Foods containing oxalates are safe as long as one does not over eat them on a daily basis. In the case of rhubarb, you should not eat the leaves and the stalks should bee stewed, boiled or steamed prior to serving an infant or child. A few bites of cooked, pureed rhubarb stalk mixed with other fruits in a puree will not harm your infant. It would be highly irresponsible to publish a recipe that would cause harm to an infant. For adults, eating a diet rich in oxalate containing foods may lead to kidney stones. As always, consult your pediatrician whenever you have concerns about feeding your baby.